Exercising our resources to acquire additional skills to provide more opportunities for our clients. Using newly developed resources to provide a more lucrative product for our clients. We are always on the lookout to provide additional services and quality to our products, which in turn adds value to our client offerings. This entry was posted in Uncategorized and tagged advertising, brochures, business, business cards, crossville, custom, education, equipment, graphics, inspiration, marketing, marketing plan, motivation, post cards, printing, skill set, training, unique by farmgirlsc. Bookmark the permalink. 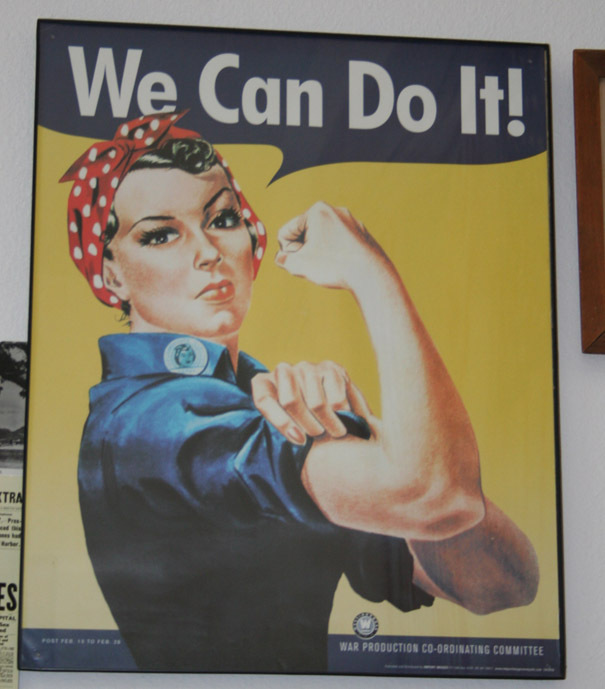 Rosie the Riveter is one of my favorites. I wonder how many rivets were produced during WW2?